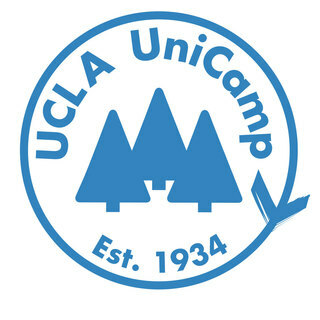 UCLA UniCamp is hosting an Alumni Family Camp Weekend. There's no better way to remember camp than actually going up and breathing the fresh mountain air. Sing songs, play games, and enjoy the company of the UCLA UniCamp family! All are welcome! Come experience UCLA UniCamp firsthand and create some Woodsey Magic! When: August 21-23 - Programming is mostly Saturday & Sunday but we have an early arrival option for Friday night. Dinner will not be provided on Friday so please pick up food along the way. What: A fun family camp weekend. We'll have current UCLA UniCamp volunteers at camp running programs and rotations. Meals will be provided on Saturday and Sunday. Let your kids run wild and free with our trained volunteers or spend the day participating in activities with them. This is a chance for Alumni Woodseys to share UniCamp with their friends and family. Cost: $80 for adults and teens, $40 for children ages 5-12, and $25 for toddlers 5 years or under. For alternative payment options please email events@unicamp.org. Instructions to Camp River Glen and Packing List will be sent out closer to the event!